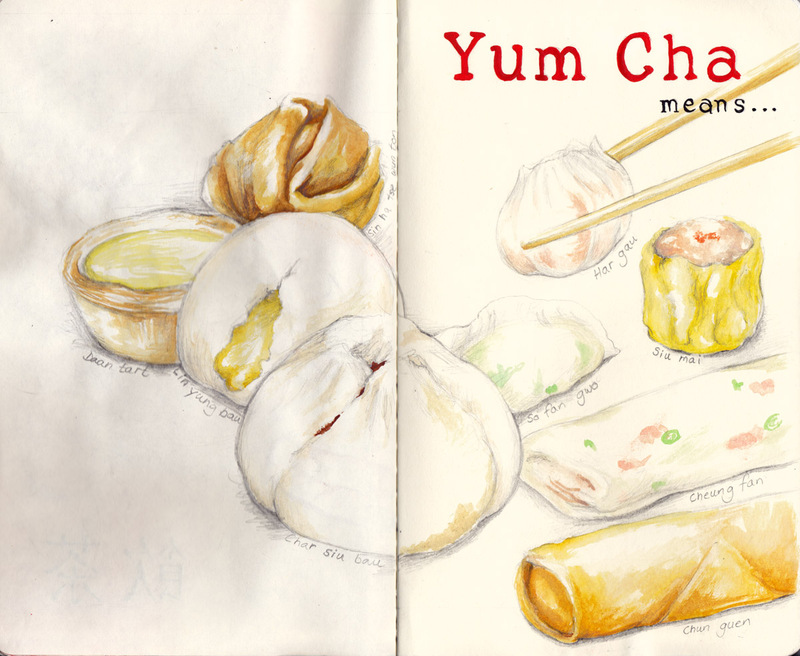 More dim sum, want to add the chinese at some point. What a wonderful sketchbook you are making. People will love looking at it! Your pictures look so mouth-watering! I admire your skill so much. The colors you used are just right and the design is so well done ! Ep*i...I'm using watercolour but with little water...you're right the paper is so flimsy. I've noticed that if I've stuck a piece in, then using other side (that is flimsy stuck down)it starts to come apart with too much water.